I have had many Passiflora rooted and unrooted cuttings also small plants sent to me via one postal service or another, and it always amazes me how people pack up their precious Passiflora in a box then hope that they arrive in the same condition. 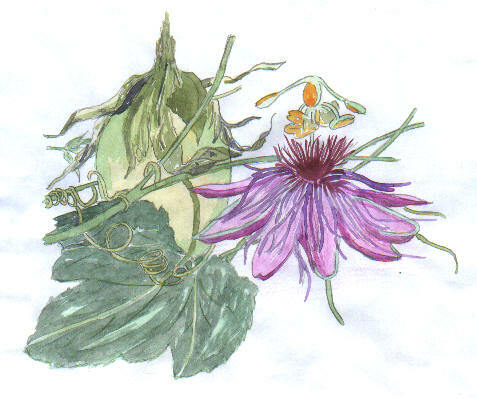 Here I hope to share some of my experiences with sending and receiving Passiflora through the postal system. Posting Passiflora seems to be one of the least written about subjects, and which can be the difference between the Passiflora plant or cuttings arriving @ their destination in A1 condition or dead, whether it is a 100 miles down the road or a 1000 miles plus the Passiflora still need the same care in packing them up for send to the other person. Over the past few years I have had Passiflora sent to me were the plant has just been put in a small plastic bag then put into a box, the box is far too big so that in transit the plant is bashed around in the box, it ends up on arrival most of the time out of the pot, most of the soil in the bottom of the box and nothing left on the plant, as a result the plant is dead. The same can be said about sending Passiflora cutting material, I have had stuff sent to me that had been put into a very large plastic bag, with around a cup full of water put into the bag with the cuttings the bag then sealed up and put into a box and sent to me, on arrival I open the bag and because of delays and too much water a lot of the cutting material has started to rot if not rotted already. This can and is very frustrating for both the receiver of the Passiflora and for the sender as he or she does not quite understand what has happened. I hope that in this subsection I can shed a little light on the subject of Passiflora packing for posting to fellow collectors around the world, I will try to show this with as many pictures and drawings as I can, so that maybe others can benefit from my experiences over the last few years.